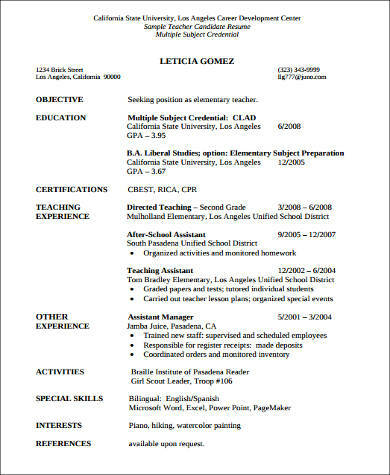 As a teaching assistant, it is of importance that you have a concise resume. With a work that is responsible of assisting the leading teacher, students’ management, and secretarial jobs, there are just so much that you can include in your resume that you may end up forgetting or end up being verbose. If you are unfamiliar in writing resumes, you may check our Sample Resumes article to get a better understanding on writing one. 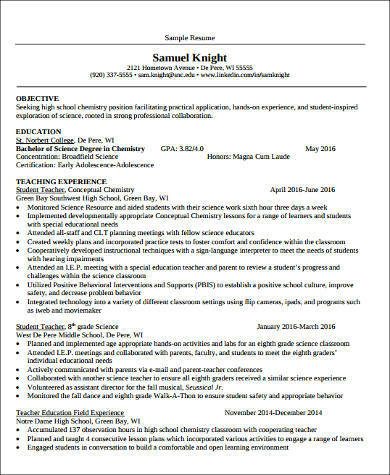 In this article, tailoring a resume that is fit for a teaching assistant is discussed with provided samples that are free for download in PDF format and you can use as a reference material. The teaching assistant profession is considered a stable industry in demand, due to the fact that there are new students being enrolled each year. 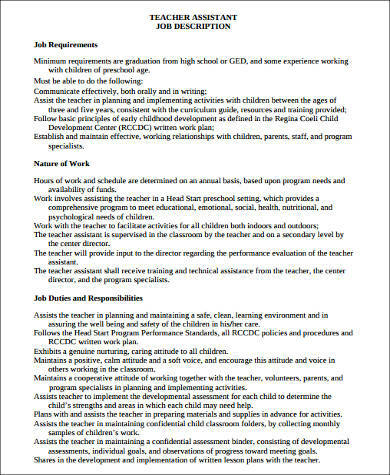 If you are interested in working as one or perhaps wanting to look for employment in a better compensating school, you’ll need a good resume to entice your potential employer. 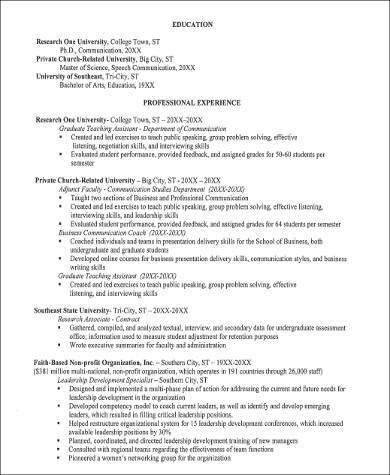 Below are a few tips to help and guide you in writing your resume. Career objective. A summary of your overall skills, achievements, and goals can surely help your potential employer to see an overall aspect of you as a person and as a potential employee. Qualifications. If you have attained certifications in certain areas that is relevant to the role you are applying for, list them down in a bulleted form. Experiences. 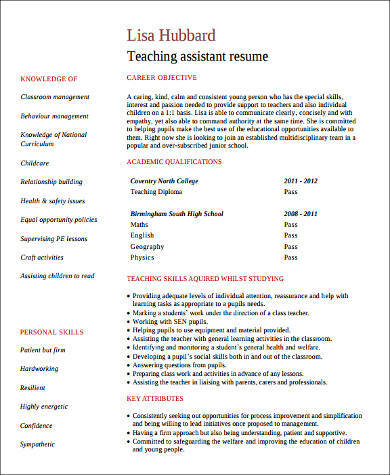 In a neat and bulleted layout and in ascending sequence, list down your working experiences as a teaching assistant. Indicate the full name of the institute or school and the years you have worked in it. It also helps to indicate the achievements you have attained during the time you have worked. Academic qualifications. Following the same layout of experience history, list down your academic history. Indicate the full name of the school and years you’ve attended. It helps as well that you indicate all the achievements you have attained and extracurricular activities you have participated in during your school years that has a significant relevance to the role you are applying for. Teaching skills attained. Discuss any teaching skills you have attained or learned during the time you were studying, if there are any. Key attributes. Discuss about yourself as a person in relevance to the role you are applying for. Your goals and strong points that you are willing to contribute to the school or institute. Knowledge and personal skills. Discuss about your knowledge that is relevant for the role you are applying for and your personal skills that can contribute to the role. In our website, you can check Teacher Job Description Samples to see various samples related to the role you are intending for. It is important to put extra attention into details of your resume as it is the only way for you to communicate and address your skills and experiences to your potential employers. 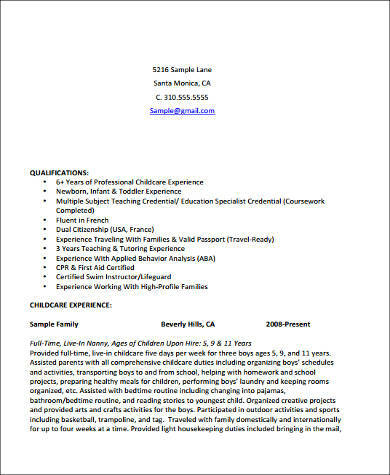 If you need more reference materials in writing your resume, check out our Sample Teacher Resumes article.